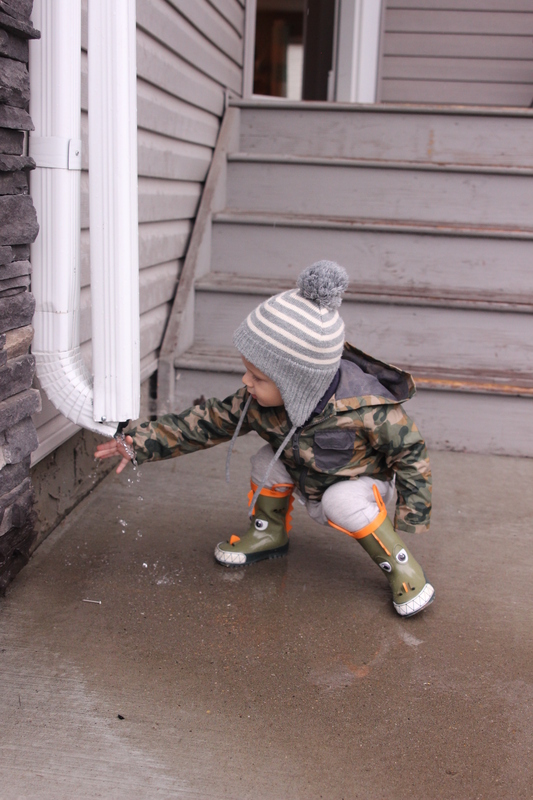 I have been so busy with moving all of our things into our new house I have neglected to take photos of Hendrix. 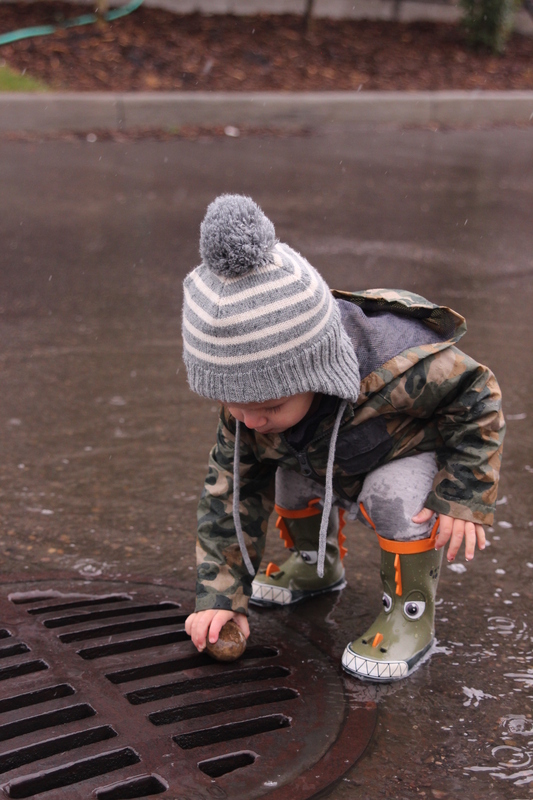 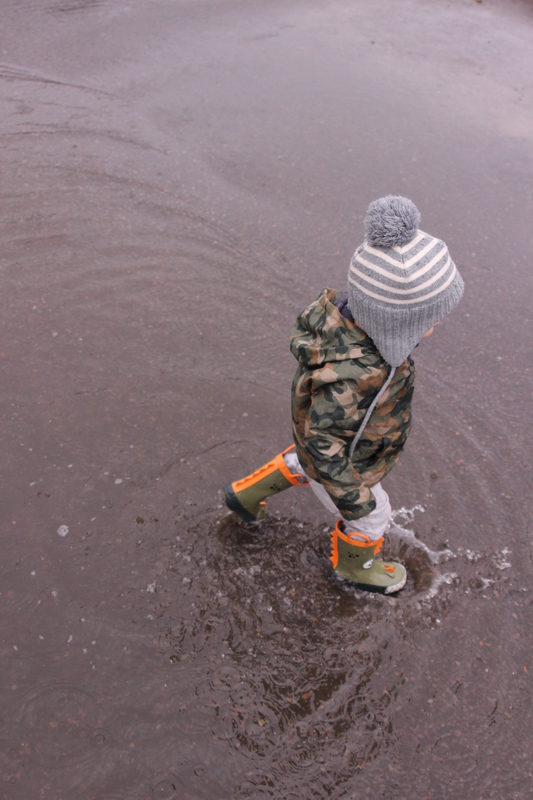 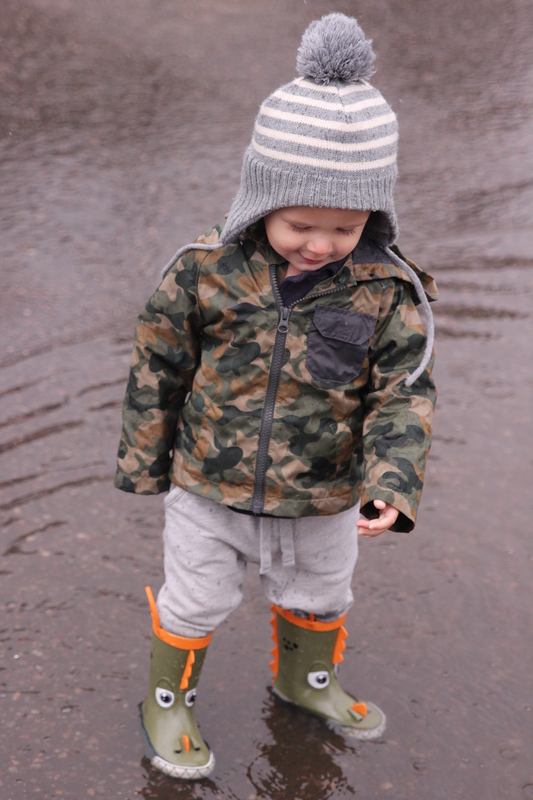 So the other day I took him outside to splash in the puddles and made sure to bring my camera. 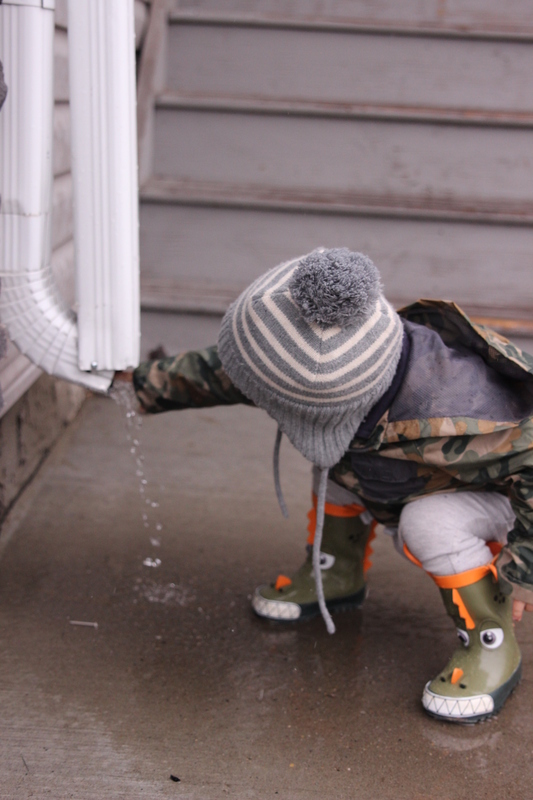 It is so fun watching him discover things like rain for the first time.